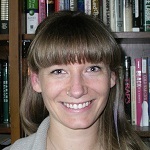 Trisha Jaracz is a 2017 graduate from the University of Washington Sociology department (with honors). She is interested in research and advocating for underrepresented populations. Jaracz intends to pursue teaching in the community college system.